Lease Form Combo Packages. Instant Download. Easy-to-use. Residential Lease Notice Forms Combo Packages Get 9 forms for just $39.95. Save 71%! The notices Landlords most often use, together in a convenient packet. Premier Residential Lease Combo Packages Get 11 forms for just $39.95. Save 76%! Contain the forms most frequently used by landlords who rent residential property. This combo contains lease agreements (including extension and termination forms), consents to sublease and notices... Lease to Own Combo Packages Get 11 forms for just $39.95. Save 78%! 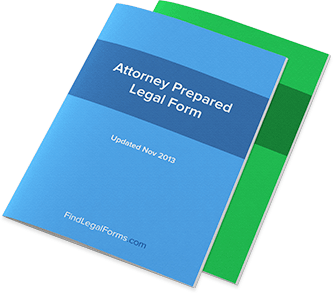 Instructions and forms, drafted by experienced attorneys, to rent a property with an option to buy. Kit contains some of the most popular forms used when leasing to own to make sure you set forth the terms... Landlord Tenant Letter Forms Combo Package Get 5 forms for just $12.50. Save 66%! Save Money by getting our popular Landlord/Tenant Letter forms together in one convenient packet. Commercial Lease Combo Packages Get 8 forms for just $39.95. Save 75%! Save money by getting our most popular commercial lease forms together in one convenient packet. Commercial Sublease Combo Packages Get 3 forms for just $39.95. Save 33%! This combo package contains some of the most popular and frequently used commercial sublease forms. Residential Sublease Combo Packages Get 2 forms for just $39.95. Save -0%! This package contains some of the most popular and often used residential sublease forms. Purchasing this combo package will save you not only time and money but you will have the right forms you need at... Basic Residential Lease Combo Package Get 7 forms for just $39.95. Save 65%! Designed for use by landlords containing an array of forms and documents used by residential landlords. This Package includes model application, lease agreement, move-in/move-out inspection checklists,... Month to Month Lease Combo Packages Get 9 forms for just $39.95. Save 73%! Forms most frequently used by landlords when renting to tenants on a month-to-month basis. Room Lease Agreements Combo Package Get 10 forms for just $39.95. Save 74%! The forms most frequently used by landlords when renting a room to a tenant. Apartment Lease Combo Package Get 9 forms for just $39.95. Save 71%! This Package contains the forms most frequently used by landlords when renting an apartment to a tenant. Vacation Rental Lease Agreements Combo Package Get 7 forms for just $39.95. Save 68%! This Form Package contains the forms frequently used by landlords or property managers when renting a vacation property. A lease agreement is a contract between two parties in which one party agrees to rent property – often real estate, automobiles, or equipment – from the owner for an extended period of time. Different types of lease agreements include commercial lease agreements (such as office rental), residential lease agreements (renting a house or apartment), and automobile lease agreements. However, just about any type of property can be leased; boats, furniture, and storage space are also frequent subjects of lease agreements. In a lease agreement, the two parties (often referred to as “tenant” and “landlord” in commercial and rental property cases; “lessee” and “lessor” in other cases) will grant each other certain rights; oftentimes, the tenant or renter is given ownership-like rights over the leased property. However, the agreement is still primarily a rental, as the lessee does not have any legal claims of ownership once a lease agreement is signed. What are the most common lease agreements? Commercial Lease Agreements: When a business rents office space, that transaction falls under the umbrella of commercial lease agreements. Generally these agreements refer to the transactions of commercial real estate, though in some cases may refer to other types of business-to-business interactions. Residential Lease Agreements: Even renting an apartment month-to-month will likely require signing a lease; more extended scheduling terms will almost always require a residential lease agreement be signed. If not, you likely will want to find a different landlord. Automobile Lease Agreements: With many of the same stipulations (scheduling, monthly payments, etc.) of the residential lease agreement, an automobile lease is also essentially an extended rental, though with more responsibilities for the lessee to fulfill. Equipment Lease Agreements: If you are going to rent a piece of equipment, you’ll likely have to sign an equipment lease that details your responsibilities and the terms of the contract. Although these represent some of the most common types of lease agreements, keep in mind that there are specific contracts for other long-term rentals, such as salon station lease agreements, truck lease agreements, storage lease agreements, boat lease agreements, and so on. What is the difference between renting and leasing? Generally, a “rental” is more short-term and comes with fewer responsibilities. Because the terms of a lease are longer, the lessee will have to own up to more responsibility in taking care of the property. Think about the difference between renting a car for a week on vacation and leasing a car for two years – that’s the difference between renting and leasing. For many people, the terms will be used interchangeably – someone will tell you that they’re currently “renting” an apartment. But in legal terms, lease and rental agreements are two separate notions. What are the added responsibilities of a lessee? If you are the one paying for a lease (the lessee), then you know that the contract you’re expected to sign will have some provisions detailing your responsibilities. These responsibilities will vary greatly depending on the type of lease. But let’s consider the example of residential leases, in which you will be expected to maintain the overall quality of the apartment to a certain degree. Most leases have provisions that detail this kind of responsibility and will also have provisions that explain what will occur if this responsibility is not lived up to. However, as a lessee does not have total ownership of the property they are leasing, they will also not have total responsibilities over maintenance. Landlords are the ones who will be forced to pay for plumbing and electricity repairs – not the tenant. What kind of provisions are contained in a lease agreement? Property Identification: In commercial and residential leases, this will list the address of the property being leased. Payments and Fees: Simply put, these are both the monthly prices and any additional fees that might apply, though the security deposit provision is often separate. Default: If payments are not kept up, this provision outlines the process of default and what happens next. Insurance: Sets forth any potential insurance requirements. Assignment: If the lessee wants to “sublet” the property, their ability to do so is contingent on this provision. Because there are so many different types of leases, you should give your own lease a thorough reading to fully understand it. What is a lease with an option to purchase? Many lease agreements will contain an option to purchase as an additional incentive to sign the lease. This option will give the lessee the exclusive right to make an offer on the property at the end of the lease terms; it is up to the lessee to use or decline this purchase. From the lessor’s perspective, the option to purchase can be a great way to entice someone into the lease. You’ll frequently see options to purchase included on automobile lease agreements. When is a Lease Agreement enforceable? The enforceability of a lease agreement is contingent generally on the terms it provides, though any outstanding payments and fees still must be met after the date of the lease has expired. This helps protect the owners of the property from dealing with lessees who never had any intention to pay all along. What are the requirements for a Lease Agreement to be valid? Lease agreements are valid in the same circumstances any mutual contract is valid. Both sides must receive consideration (some sort of value) from the contract – for example, leasing a property out to someone for $0 might be seen as granting the owner of the property no consideration. When is a Lease Agreement effective? The lease agreement will be effective upon signing, with the terms to go into effect as per the terms of the lease itself. Only after all terms have been satisfied will both parties cease to be required to continue to live up to the provisions of the lease.